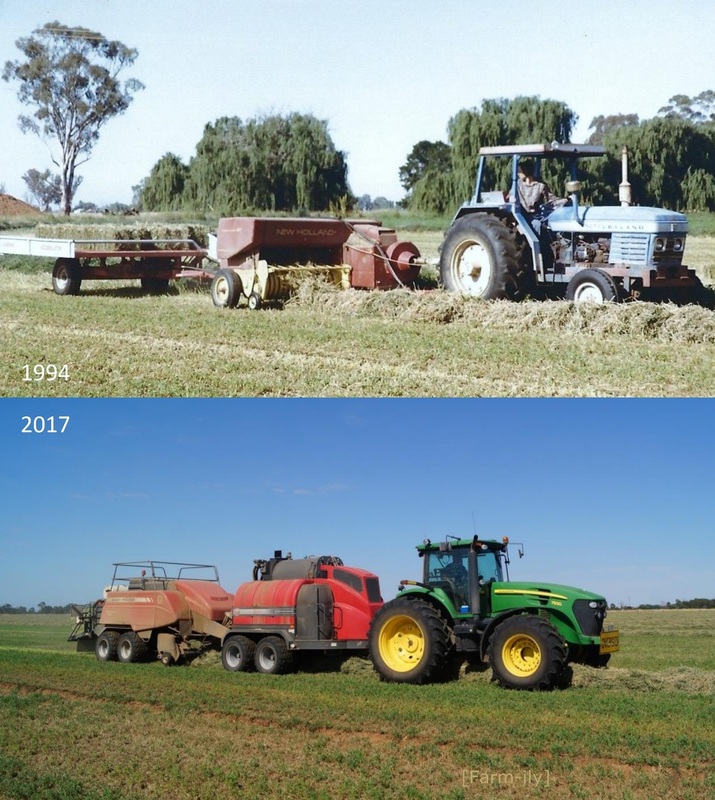 Then and now baling hay. Still using a road train to bale, just a bit bigger one now. What a difference. I remember the first one well. I was the guy who rode on the rack and stacked the bales. The accumulator on the back actually stacked the bales automatically, and then tipped them off when it was full with 15 bales. That was us too up until buying this accumulator. I would drive our little truck with our toddlers in the front with me whilst Phil would stack on the back. We used a bale chute with a conveyor which was attached to the truck to pick up the bales and ferry them onto the truck tray. The faster I drove the faster Phil had to stack. A long way from the pitch fork days! Great now and then photos. Good comparison, wonder what the next one will be! Love seeing the then and now comparison shots. I think we are STILL using the same equipment we started with....tee hee!